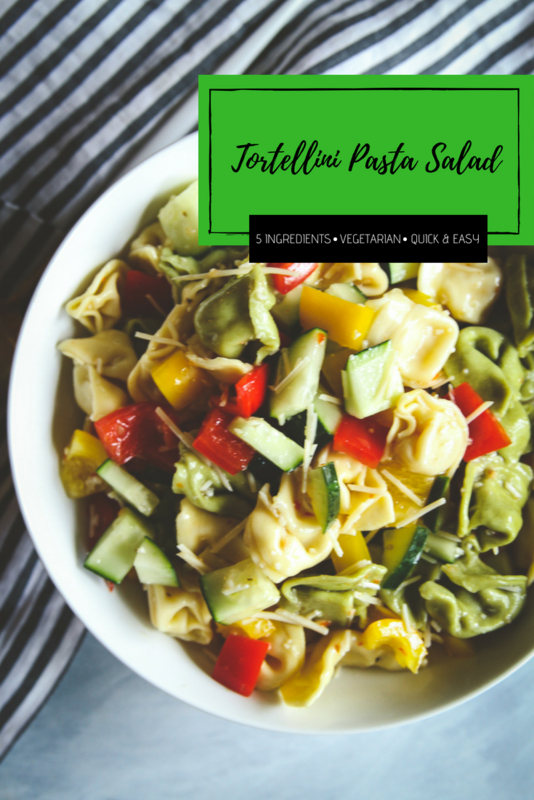 If you’re looking for the best tortellini pasta salad recipe, made with only 5 ingredients, you’ve come to the right place! 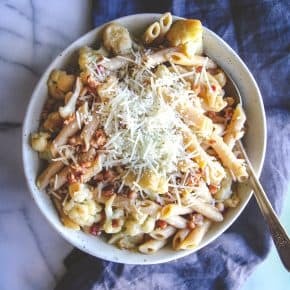 This tortellini pasta salad is super easy to make, and is an amazing vegetarian side dish for any potluck, BBQ, or get together. You know how there are those dishes that everyone enjoys at parties? 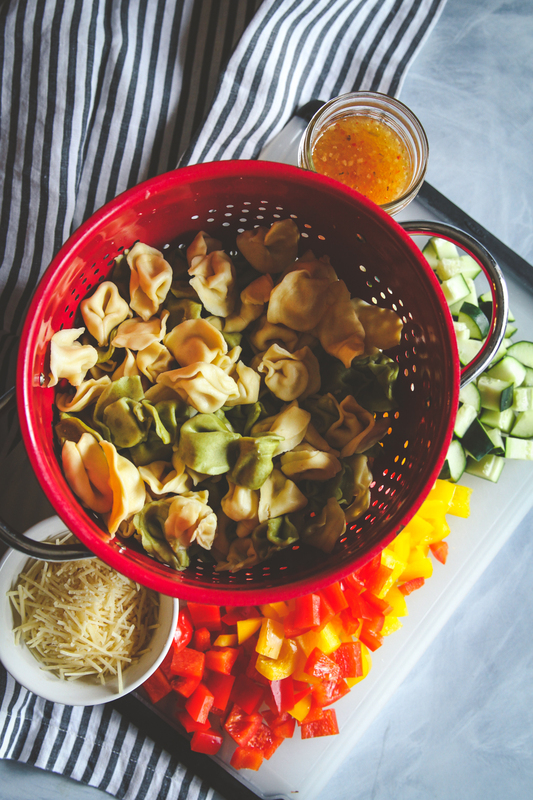 This cold tortellini pasta salad is one of those recipes. It’s always such a big hit. The other night it was warm out and my husband picked up some burgers for us to grill. As I was unpacking the grocery bag, I saw a little container of tortellini pasta salad he had purchased. I LOVE deli pasta salads and side salads. They hold a special place in my heart. While I was growing up, when my mom would be at work late, my dad would pick up a bunch of different salads for us to have for dinner. My husband knows how much I love them, and after seeing the pasta salad, I thought, why haven’t I made this for the blog yet? It’s perfect and everyone loves a good pasta salad! And it’s SO EASY to make and only has 5 ingredients: tortellini pasta, cucumbers, bell peppers, Parmesan cheese and zesty Italian dressing. After the salad is done marinating, it has this little zip bite after bite. It’s delicious! 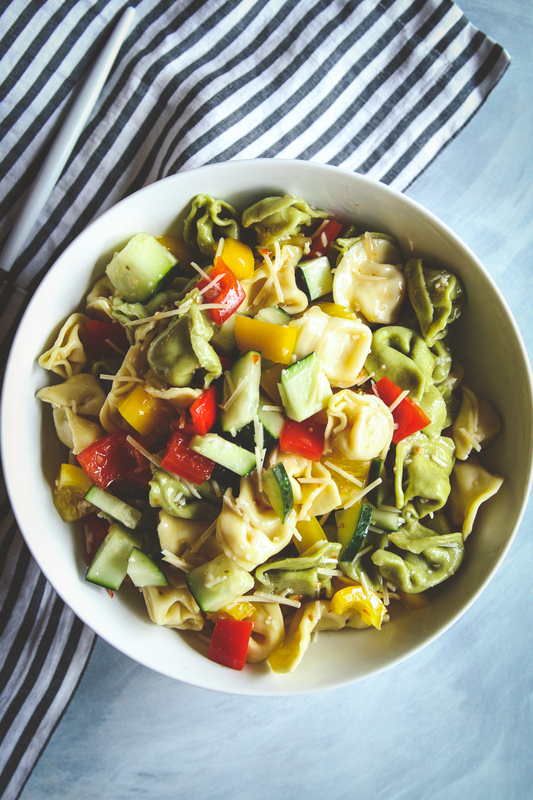 Now that I’ve shared with you how to make the best tortellini pasta salad, I’d love hear from you in the comments below, what’s your favorite kind of pasta salad? Cook pasta according to package instructions. Drain water when done cooking and allow to cool. 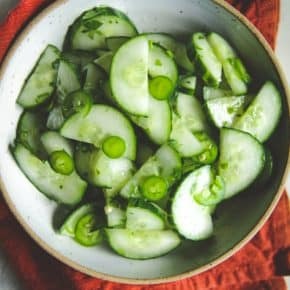 Cut cucumber and bell pepper. In a large bowl combine pasta, chopped cucumber and bell pepper, salad dressing and cheese, stir to combine. Allow to cool in the fridge for 2 hours or overnight. 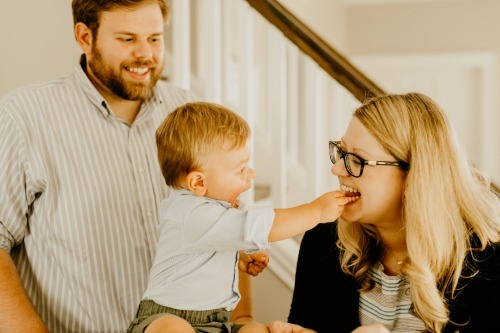 My husband and I needed to simplify Memorial Day this year, so I was thrilled to see this recipe pop up in my news feed! It’s easy and tasty and will become part of our regular rotation this summer, I’m sure. Thank you! I don’t have a specific recipe in mind, but I love a BLT pasta salad, with bacon and spinach! You know, i have never tried a BLT pasta salad before, but multiple people have commented saying it’s their favorite – so I definitely need to try one!!! I like a simple pasta salad, fresh grape tomatoes from the garden, fresh mozzarella, basil and some balsamic vinegar. My favorite pasta salad is an antipasto pasta salad made with a variety of cheeses, meats, and veggies and a homemade Italian vinaigrette. It’s delicious and makes enough for a crowd….but it’s quite labor-intense! Lots of chopping! I usually only make it for special occasions. Any Sun dried tomato based pasta salad. I don’t have a specific recipe for a pasta salad. I just keep it simple by adding Italian dressing to pasta along with any leftover veggies I may have in the fridge. Pepperoni and cubed cheese is a must for me though! I love pasta salads of all kinds. Your recipe is great! I will be using it for our monthly potluck meeting next week. I like that I can make it the day before. Thanks for the great idea! Thank you so much, hope you love this one, it’s really easy and super good! I love me a good old fashioned macaroni salad with elbows and hard boiled eggs! Oh yum, I love that you make a homemade Italian dressing with yours! Hi Phi! My favorite pasta salad so far has been one with the rotini pasta, veggies and Italian dressing. I’m looking forward to trying the tortellini pasta salad this summer for a family reunion. 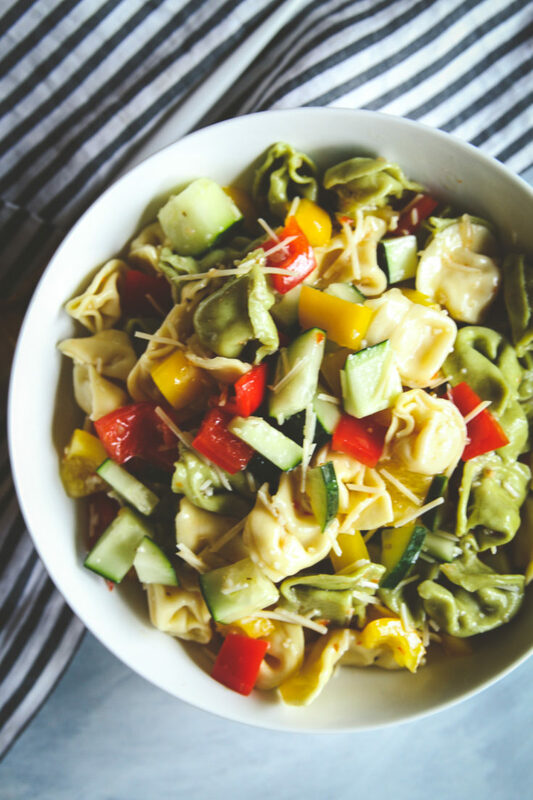 I think you’ll love this tortellini pasta salad, and your favorite pasta salad sounds delicious! I like to make a hard-boiled egg, tuna, diced celery and elbow macaroni salad with brown mustard and real mayonnaise. I make it ahead and have it for lunches for the week. I like a simple, fresh pasta salad: pasta, peas, fresh mozzarella, fresh tomatoes, onion, olive oil and lemon. oh yum, that does sound fresh and amazing! Ahhhhhhhmazing! Pasta salads and I are a scary combo… Anytime ive tried, I have failed in taste! This sounded too delicious and is uses tortellini? Yes please!! Besides my addition of cherry tomatoes and mushrooms I did this exactly as written. Thanks for an easy and yummy recipe! 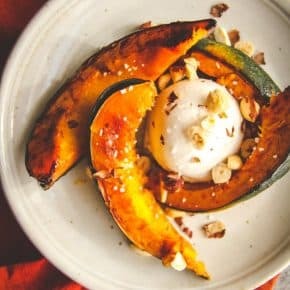 So happy to hear you loved this recipe, it’s one of my easy faves! !